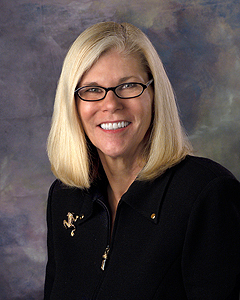 Dr. Wendy Doty, the superintendent of the Downey Unified School District since July 2003, announced her retirement effective the end of March 2013 at this week’s Board of Education meeting. Holder of a bachelor’s in child development from San Diego State University (’74) and two master’s degrees, one in education (’78) and the other in reading (’79) from Whittier College, Doty went on to earn her Ed. D. degree in education administration at USC in 1992. Prior to assuming the superintendent’s mantle at DUSD in 2003, she served two years in the same capacity at El Segundo Unified School District and three years as assistant superintendent for curriculum, instruction, and personnel for the Laguna Beach Unified School District. Prior to all this, she had charted for herself a productive career as a teacher, program specialist, principal, and director of curriculum and instruction. Along the way, it goes without saying that she received accolades and awards too numerous to mention.